Lots of good things to say about John and Greater Baton Rouge Signs! Quick responses. Superior customer service. Quality products and installation. Beats others’ prices. I am happy to recommend this group. 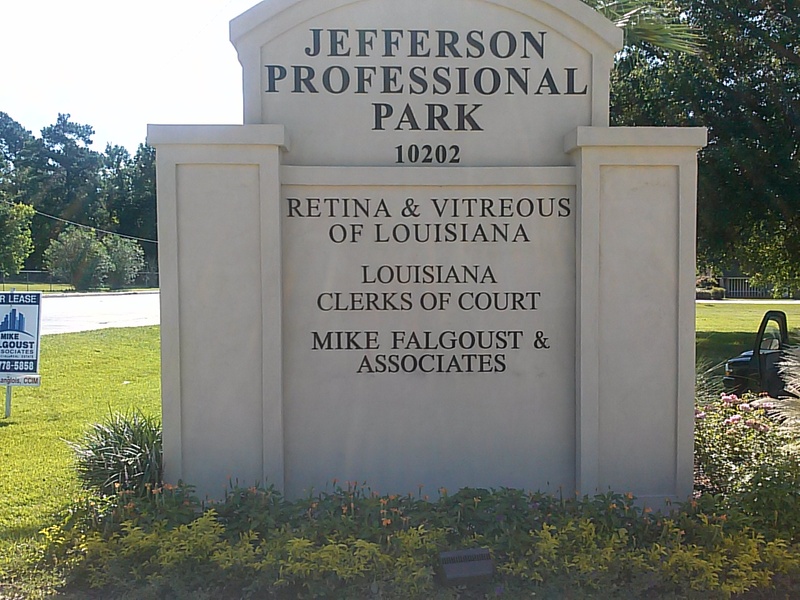 A quick note of thanks to you and your company, Greater Baton Rouge Signs. I had worked with our ad agency on the replacement of our signs at our other locations and that experience was very painful. The pain was due to the amount of time and cost associated with the project. Working with you was very timely and cost effective. Check out the photo. The sign is for the Airline Hwy. 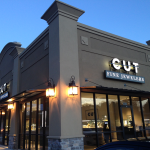 location and is another awesome job by Greater Baton Rouge Signs and Johnny Kovalcik. 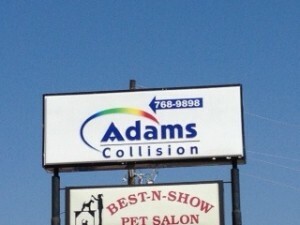 Johnny has done multiple jobs for Adams Collision and every time they have been completed to our satisfaction. He keeps you well informed on the process and the dates that he gives you are when things will happen or he calls beforehand to talk about the issue and walks you through the next steps. 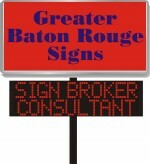 I don’t even shop anymore, Greater Baton Rouge Signs and Johnny Kovalcik is our sign company. The company that did the install for him on this one was very prompt and as the install moved forward things didn’t go 100% as planned but they were what I call Johnny on the spot with what was going on and continually updated me and I was very confident that the project would end without a hitch and it did. Big thanks to Johnny and all the extra things he does to see that job is completed to customer satisfaction, and keeps you up to date on all matters of concern. Thanks for the exceptional job. You have been a wonderful help.. Its made this new process so much easier having someone like you that truly knows your business. For sure as we continue to grow, we will be dipping into the John K. well again.. Thank you for a job well done. Price was right. Projected time on target. Updates were given as promised and install was flawless. I can’t thank you enough for how you handled the signage for Charlie and me. In today’s business climate it was refreshing to do business with such a professional. 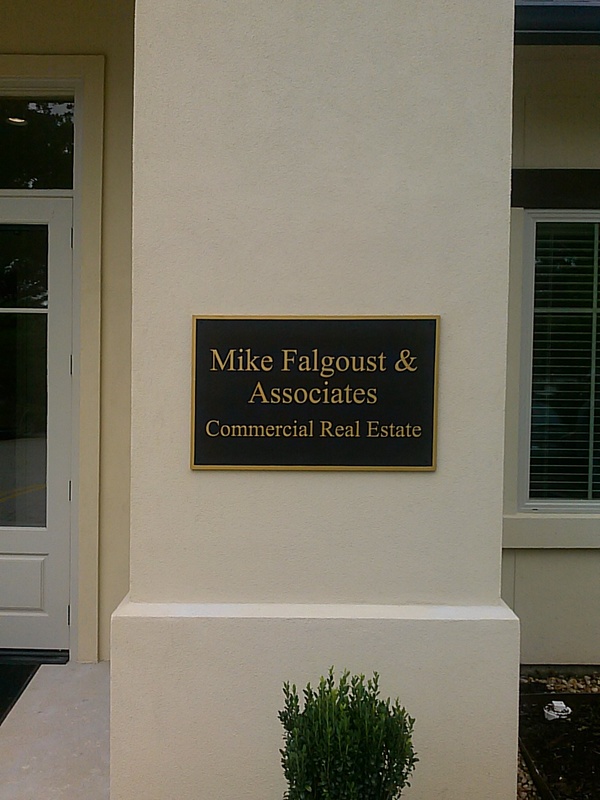 Greater Baton Rouge Signs delivered a superior product at a very reasonable price. Honestly, I was prepared for the cost to be much higher. Of course, that was a warm welcome, but I was most impressed with your timeliness. Every step of the way we were made aware of the progress. I knew when graphics were finished, I knew when materials were ordered, I knew an estimated time of completion. You knew the deadline we were working with and never lost sight of it. Your attention to the severity of this being a timely application has not gone unnoticed. I am utterly impressed with a business that does precisely what they promise. 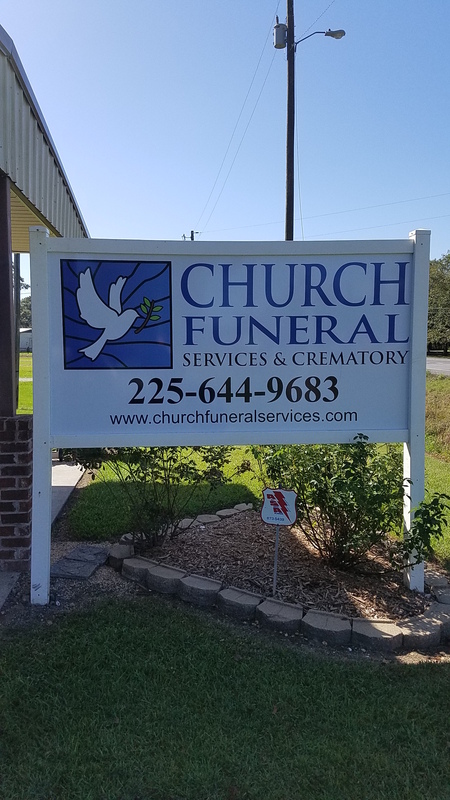 I would recommend Greater Baton Rouge Signs to any business owner who needs a sign. 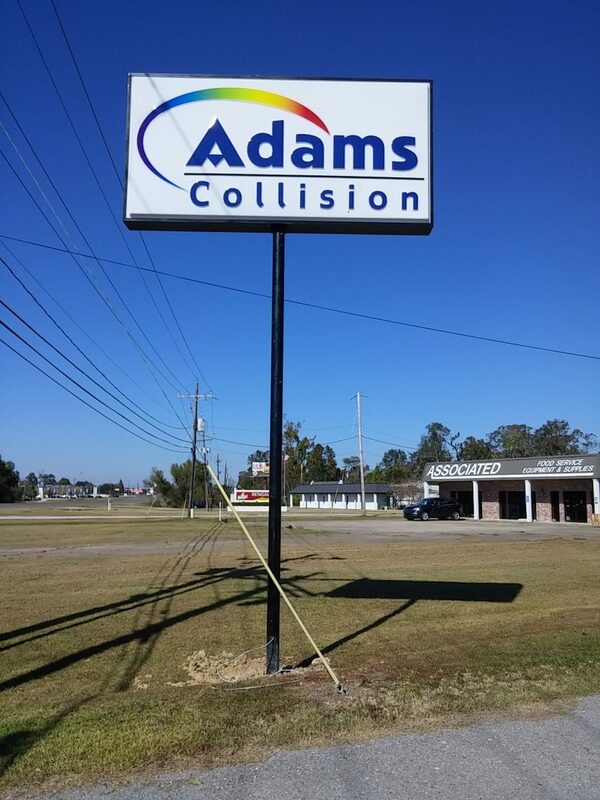 I am writing this letter to say thank you for your response, diligence and overall support in completing the upgrade and transformation of our old manual sign to modern electronic message boards. The Church is highly pleased with the finished product and I have received numerous favorable comments from others who have seen it. The boards look good and the associated software is very easy to use. Our Church is very active and the electronic boards allow us to quickly post events and activities. We offer an after-school tutoring program at the Church. Up until the installation of the electronic boards, we would usually see 5 – 6 children for the tutoring sessions. We posted the tutoring program with its times on the new electronic boards, and now we are consistently seeing more than 20 students per session. We now have so many students that we have had to bring on additional tutors and have added an additional day to the schedule. The increase that we are seeing is owed entirely to the new electronic boards. So again, I want to thank you an excellent job and for aiding our Church in its efforts to better serve the community. 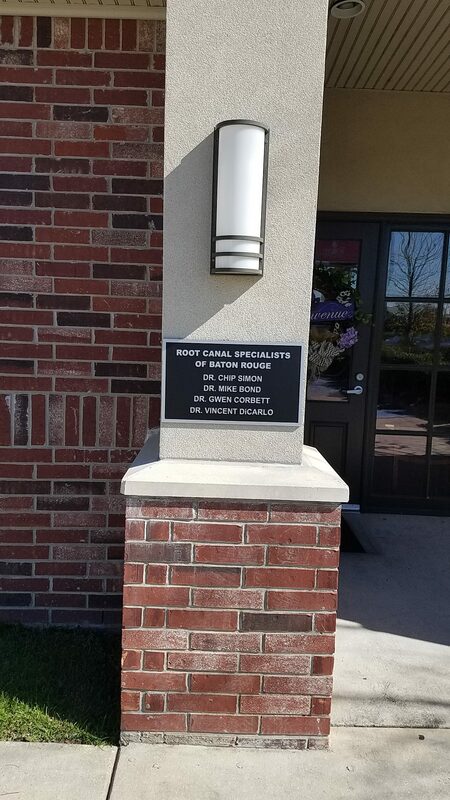 The sign is definitely getting noticed as people all over town are coming up and complimenting us and we are already getting new business directly from the sign. I have also noticed an uptick on the website almost immediately after it was installed. Thanks again. John, as always you did a really great job! I wanted to take the time and thank you for the signs I ordered from you. I know it has been over 2 years since the signs have been installed. I wanted to tell you they still look new! When I ordered my signs, you talked about the different qualities of materials and explained to me about lettering that shrinks and cracks. Well at the time I didn’t truly understand what you were saying. Now I really appreciate the extra time you took explaining to me that quality materials really do make a difference. Thank you again! The event went FANTASTIC! The banners you did looked GREAT! From where they were hung, no pixilation at all! The vendors featured said they looked awesome. I have a couple of photographers who took pictures and I’ll probably have those by the end of the week. Hey, John! Hope you’ve been well. First off, just wanted to thank you and your team for even making this possible — for giving me such beautiful signage so that I’m visible! Hey, Penelope was nominated for Best Gifts and Best Local Women’s Boutique. Commissioner – East Side Fire Department Board of Commissioners, District 8; www.esfd.org.